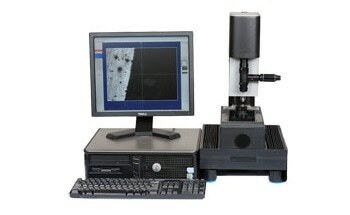 The Versitron is an extremely unique testing system which provides users with the benefits of Top-Loading and Test Surface Referencing technology. The Versitron imparts a level of accuracy, repeatability, speed, reduced operator influence and large part capability not found on any other tester in the world! 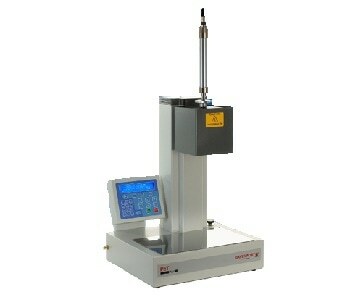 This hardness tester is ideal for applications ranging from high volume to sampling, from production floor harsh environments to the lab and from testing large or awkward shaped parts through precise small part testing applications. 4 seconds! That is how fast you can perform a test with the Versitron Rockwell hardness tester. Unlike most hardness testers, the Versitron applies both the pre-load and full load through the test head. 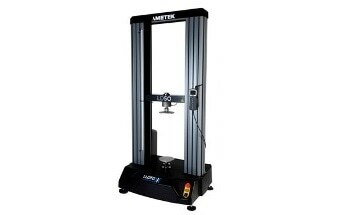 The Versitron comes with different frames, indenters and accessories to suit your specific needs. 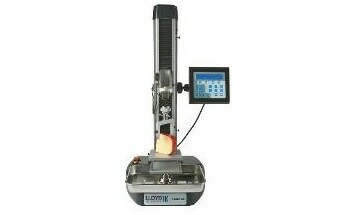 The manual machines are equipped with a lever enabling the operator to perform a test with a single pull of the lever. The motor-drive systems are even easier using a footswitch or a pushbutton to start the test cycle. 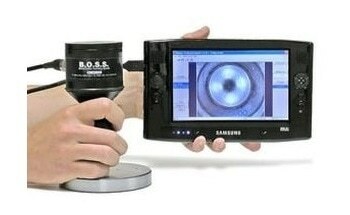 Operator influence on the test is negligible and because operation is so easy the Versitron hardness tester requires little operator training. Versitron, the “Industry workhorse” of Rockwell hardness testers, has been improved with a full colour, icon driven display that facilitates easy intuitive navigation. Test results are shown in a large font size making them easy to read. The display is dirt and oil resistant and is easily cleaned. 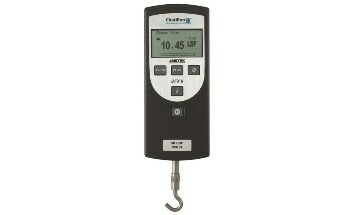 The Versitron interface is designed to last in even the harshest environments. Immediately surrounding the indenter is an indenter shroud. The shroud senses the position of the indenter relative to the test surface when the preload has been applied. If the test specimen deflects under major load, the shroud travels with the test surface to compensate by maintaining that precise reference position with the test surface, so the test will remain accurate. In addition, this Top Loading / Test Surface Referencing test process imparts to the Versitron its truly unique part clamping ability. Unlike other testers which offer clamping as an afterthought add on, the Versitron’s clamping ability is in inherent part of the tester and provides users with the ability to clamp and hold parts in place prior to testing with up to 240 ft/lbs of clamping force. The Versitron’s clamping ability is completely independent of any applied test loads and thereby eliminates the effects or part movement or deflection before any test loads are applied. The removable clamping shield protects the diamond indenter from being struck by the test specimen during handling, making the diamond indenters last longer. When test samples are clamped, the indenter is protected from damage resulting from test samples shifting under load. The Versitron is widely known as the “Industry Workhorse”. The Versitron hardness testing machine has been in production for more than three decades and models as old as 30 years are still running smoothly in very harsh environments. 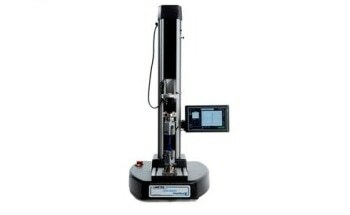 Due to very low cost of ownership a Versitron hardness tester is simply a good investment! The Versitron records and stores test data and can provide on screen statistics during the test. Test results can be exported as a CSV file or directly to DataView for further analysis.